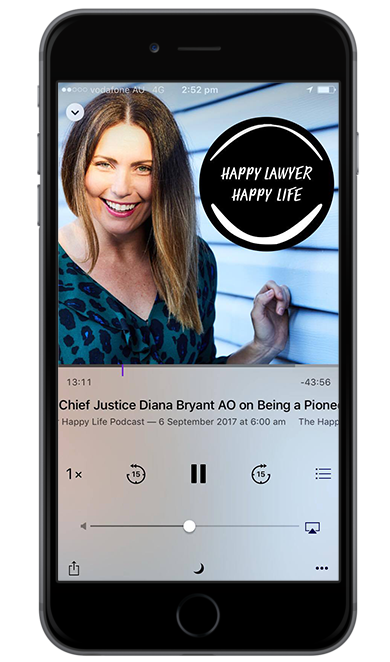 Welcome to a very special episode of the Happy Lawyer Happy Life podcast where in this week we’re on tour in Melbourne. And that’s because both me and my guest, Sarah Bartholomeusz, are attending the Women in Law Awards. It’s a great chance to sit down with Sarah and get her on the show because she truly is someone who’s causing ripples in law land. Sarah is the founder and CEO of the award winning law firm, You Legal – a unique category of corporate commercial law firm. She’s also the winner of the 2015 Telstra Business Women’s Award, has been a TED speaker, authored two books and is the wife and mother of two children. In this episode, Sarah tells me all about her journey, walking the line between law and entrepreneurship, plus loads more.